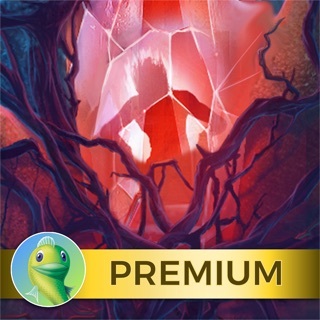 Discover the latest match 3 game from the TOP SELLING premium games company, Big Fish. With more than 26 million premium game downloads worldwide, Big Fish gives you exciting new games to solve each week! Journey to a hurricane ravished island in this unforgettable match-3! Choose your speed as you blast flowers, diamonds, coins and more to help the locals rebuild their village. Navigate around the land and tropical waters to collect ancient artifacts to make progress on your own house. Play a variety of puzzles in different shapes as you work to revive the island! Try it FREE - Begin this adventurous match 3 puzzle today! Game is pretty fun, nice to have 3 varieties, definitely appreciate the Relaxed mode and no in-app purchases. There IS further play, no idea whether it’s replay or new levels. Go out to the Main Menu level, choose the gear for Options, and select the Play Mini-games button. Not sure how high the levels go. Also, the Relaxed Mode option is not grayed out at this level, so you can toggle between timed and relaxed as you wish. Sure could make these easier to find from within the game! Enjoy! Free part plays fine but once you pay you will come across games that will not detect completion when in the timed mode. Exiting the game, killing all other processes etc will still leave you frustrated. Multiple plays sometimes will work but switching to relaxed works. Relaxed mode is relaxed but soon the game becomes monotonous and oh so boring. They try to ramp up the difficulty but then it’s a race against time and how is that relaxed and not timed? I would give it 5 stars but the game is too short and once you’re finished it won’t let you play again! I loved playing it but finished the story line in less than 2 hours and now it won’t go back to let us replay it.